Vassilis Chryssanthakopoulos was an internationally acclaimed LEGO robotics designer and a MINDSTORMS Community Partner (MCP). He realized his dream of creating an innovative educational concept though the creation of blast in 2015. In 2017, he extended his reach by creating blast games, an Olympic-style competition for youth. Vassilis passed away unexpectedly on February 19, 2018. Below are reflections of his work and his legacy as seen through the eyes of his friends and collaborators. 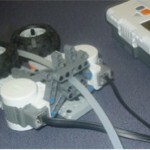 My first introduction to Vassilis was on NXTLOG, the LEGO MINDSTORMS Community Gallery, under the username NeXTSTORM. He posted 18 robots there between 2008-2009. Some might say he was “discovered” on NXTLOG. At that time the gallery hosted frequent building challenges moderated by a judging panel of MCPs, some members of the LEGO MINDSTORMS design team, and myself. At the end of 2008, roughly 9 months after his first post, his Magic Christmas Tree got a shout out on the LEGO Employee Interweb by former LEGO CEO Jørgen Vig Knudstorp. 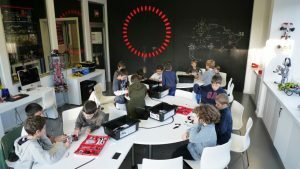 It wasn’t long before NeXTSTORM became publicly known as Vassilis Chryssanthakopoulos and was invited to join the MINDSTORMS Community Partners and share his work with LEGO fans around the world. A great lesson I share with kids who dream of being LEGO designers is to keep building, creating, and sharing your work. It will get noticed. You will influence others and make a difference, just like the brilliant NeXTSTORM Vassilis Chryssanthakopoulos. Vassilis set very high standards in all that he did, and this definitely impacted the development and the launch of EV3 in a very positive way. 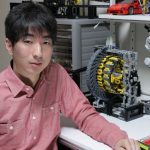 He worked closely with the EV3 team at LEGO, not only on the models themselves, but also on the creative execution of some of the marketing and communication materials. EV3RSTORM, the main model on the box is named in his honor. 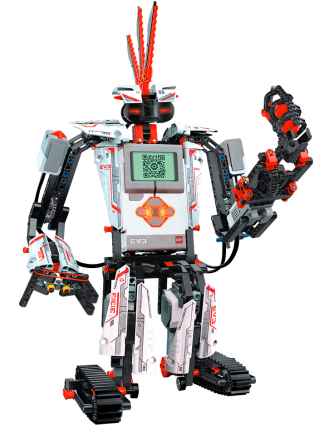 To reflect that EV3 is the 3rd generation MINDSTORMS, it was also his idea to replace the letter “E” with a “3” in each of the names for the hero models. Vassilis also helped to finalize the GRIPP3R model. 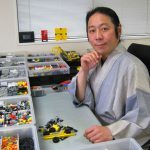 In addition, he is the designer of one of the original Bonus Models for the LEGO MINDSTORMS EV3. His model, EV3D4, is inspired by R2D2 from Star Wars. You can find the instructions for this model inside the Home Edition software and the App. RESCU3R, the robot he designed for the Blue Zone in LEGO House in Billund, is one of Vassillis’ most memorable projects. Inspired as always, Vassilis worked hard and played with many ideas. He wanted something simple, but iconic! Even though the robot doesn’t have an actual face, it expresses itself with simple movements when it succeeds, fails or needs attention, with his “nose” (multifunction canon), “hands” (flame activators), “eyes” (lights) and his funny oval body. The RESCU3R is a mix of a realistic arctic robot, with a futuristic touch added, to comply with the sci-fi storyline, plus an iconic cartoon look & feel. I remember when he was invited to the pre-opening and he was sending us pictures of his robots dancing on “ice”! At that moment, he became an important part of LEGO history. Clean, solid and sturdy. I loved his lines and his details. He made a limited pallet of colors seem so stark and amazing. He always managed his wires well, and found clever ways to add his signature style to all of his builds. You always knew that he built something, and he made sure you knew. Vassilis was always a kid in his heart and soul. He always got inspired by children. He carefully observed everything around him like an explorer. He could get inspired by the weather, a song, and even a memory. He flowed with whatever he might be thinking about, and let that thought take shape on its own. He never waited for the perfect idea. He used an idea and made it perfect! blast was founded in the summer of 2015. 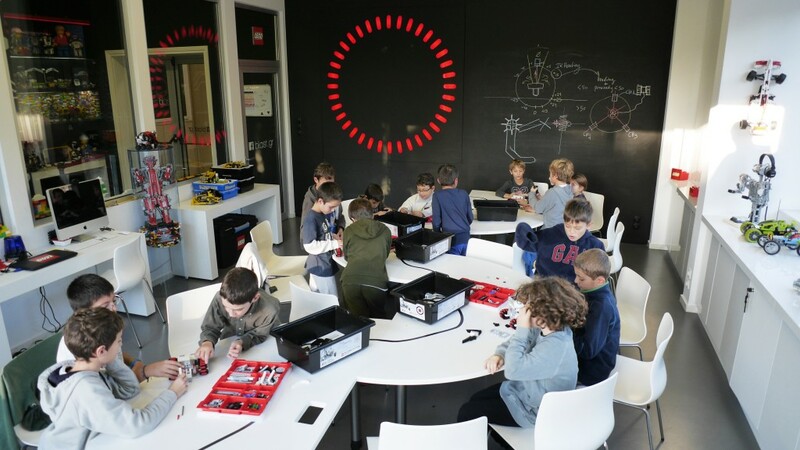 Vassilis’ goal was to create a space where technology and innovation meets learning and fun. He wanted to develop childrens’ skills, such as teamwork, communication, conceptual thinking, imagination and problem solving. Vassilis was looking for a name for the company he envisioned. It had to be something inspirational, bold, fun, creative, international, educational, iconic, and a million other things! Vassilis’ standards were always the highest! Sometimes more than 50 names per day were rejected. So one day I sent him 3 more names, blast being the third. We talked about the first one, it was okay but nothing really exciting. The second, not good. Then I insisted: why not “blast”? After a small pause, he wrote: Build and Learn Art Science Technology. It was perfect. blast was born. I met Vassilis through his amazing NeXTSTORM MINDSTORMS videos. 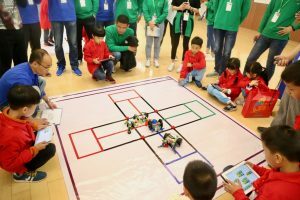 One day we both saw an announcement to join the MINDSTORMS Community Partner (MCP) program and we encouraged each other to apply. That was the beginning of our MINDSTORMS journey and a great friendship. He became my LEGO brother. Even though we were separated by an ocean, I talked and met with Vassilis more often then some of my local friends. We did so many things together, from joining the MINDSTORMS Community Program (MCP) to traveling the world with our MINDSTORMS creations. Through the years, we traveled the world together to so many events, that we used to say “let’s meet for breakfast in [name of exotic country here]”. Vassilis was more than just a Robot Expert. His creations were always unique and his capacity to draw a crowd around his table were unparalleled. His way with kids during events, and the highly interactive games he would bring, made him an invaluable ally to the success of any show. 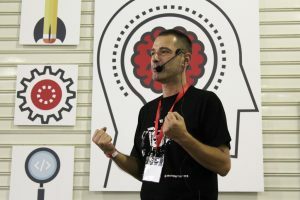 Vassilis was a true inspiration to the global MINDSTORMS community. His work has been featured all over the world at events such as World Robot Olympiad finals and Google Science Fair. 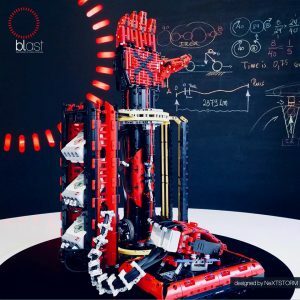 The blast games are a new international robotics competition for schools and students with WeDo 2.0 and MINDSTORMS® EV3. They were created by Vassilis and launched in July, 2017 in Shanghai and Zhejiang, China. 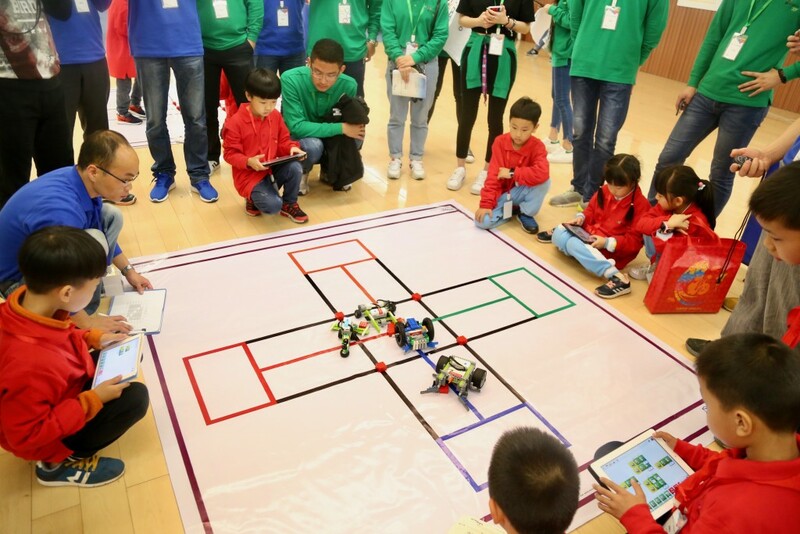 The idea of a discipline-based international robotics competition was inspired by the ancient Olympic Games, first held in Greece during the 8th century BC. 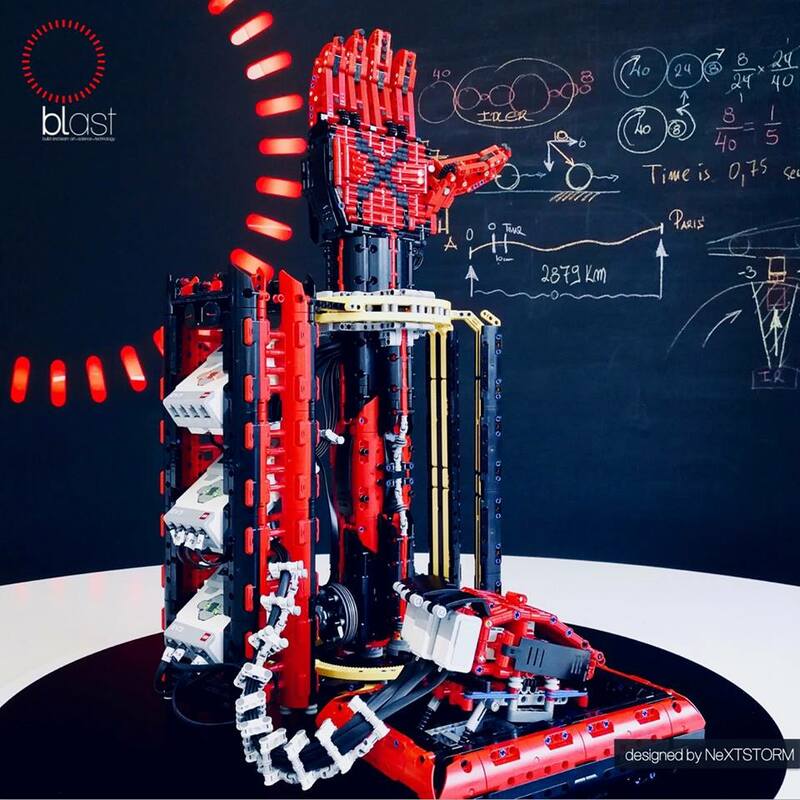 The blast games disciplines, despite their simplicity, were designed to require extraordinary ingenuity, engineering, coding, strategy and teamwork. To learn more, visit the blast games webpage. Through blast and blast games, Vassilis has taught and inspired thousands of students. He has inspired countless more children, like us, who have met him at events around the world. Vassilis was a kind and patient teacher, willing to spend time with children to teach them and bring out the best in themselves. He was close to all his students, not afraid to hug them and playfully wrestle with them. He was a teacher and mentor, but also a friend, to his students. 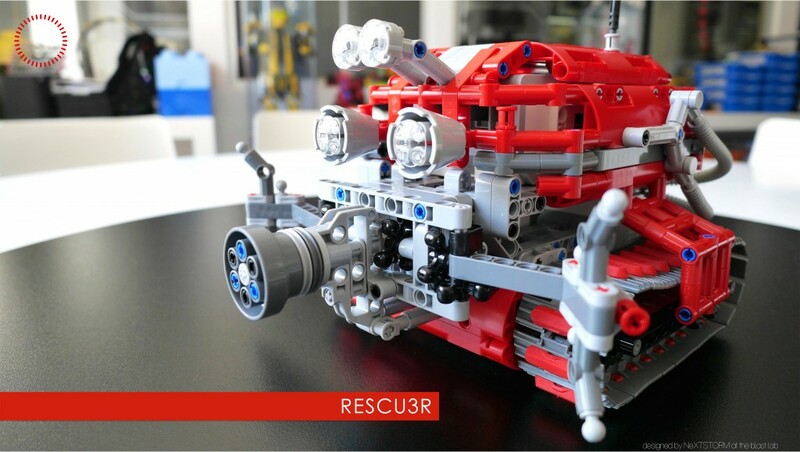 MADE OF STE3L, his last major project, was presented at the LEGO WORLD 2018. I admired the intricate details of the fingers of the hand, its complex structure, its proportions. It was a true masterpiece, a work of art. Vassilis’ building style was compact and ingenious, bold and elegant. It was both technical and artistic. It was sturdy, capable of withstanding many hours of play, but appears fluid and light. As with some of his older projects, MADE OF STE3L reminded me of Leonardo Da Vinci’s work. These three words sum up Vassilis. His ideas were ingenious and original. The color palette he chose for his signature builds were bold and dramatic. His style was elegant to look at and a work of art. He will be greatly missed by the LEGO MINDSTORMS community, his students, and his friends. To learn more about Vassilis’ work, visit his NeXTSTORMING YouTube page, NeXTSTORM gallery, blast Facebook Page, or blast webpage.